Dr. Richard Cervantes is Research Director of Behavioral Assessment, Inc. He served as Research Psychologist at the UCLA Spanish Speaking Mental Health Research Center, and held a full-time faculty appointment in the USC School of Medicine, Department of Psychiatry and Behavioral Sciences. Dr. Cervantes was the Principal Investigator for the NIH funded study, “Development of the Hispanic Stress Inventory-2” and PI on the recently completed study “Familia Adelante: A multi risk Prevention Program for Hispanic Youth”. He is currently PI on the NIH supported “Hispanic Family Assessment Inventory Study”. Dr. Cervantes is also a leader in evaluation science with special expertise in cultural competency and cross cultural instrument development. He served as the lead evaluator for the New Mexico State, Texas State, and California State Incentive Grant programs. He serves as the lead evaluator on a number of community based mental health and substance abuse prevention projects. He develops and provides evaluation technical assistance and training to local community coalitions and non-profit organizations. 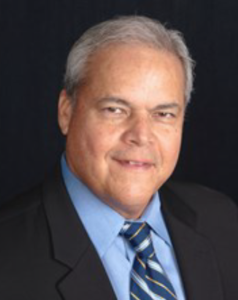 He sits on a number of SAMHSA and ACF evaluation Workgroups, and is a member of the University of Miami, El Centro Scientific Advisory Board. Cervantes, R. C., Fisher, D. G., Padilla, A. M., & Napper, L. E. (2016). The Hispanic Stress Inventory Version 2: Improving the assessment of acculturation stress. Psychological assessment, 28(5), 509. Roblyer, M. I. Z., Grzywacz, J. G., Cervantes, R. C., & Merten, M. J. (2016). Stress and alcohol, cigarette, and marijuana use among Latino adolescents in families with undocumented immigrants. Journal of child and family studies, 25(2), 475-487. Rojas, S. M., Grzywacz, J. G., Zapata Roblyer, M. I., Crain, R., & Cervantes, R. C. (2016). Stressors among Hispanic adults from immigrant families in the United States: Familismo as a context for ambivalence. Cultural Diversity and Ethnic Minority Psychology, 22(3), 408.